Each year we try to better what we did the year before by making a special Christmas Dress, we’ve made a wrapping paper dress, a snow flake dress and this year it’s time for the ‘Tree’ dress, We loved doing this one, although it did mean taking our beloved white tree apart, oh well we will have to get a new one next year! So here is the full story of our Christmas window. 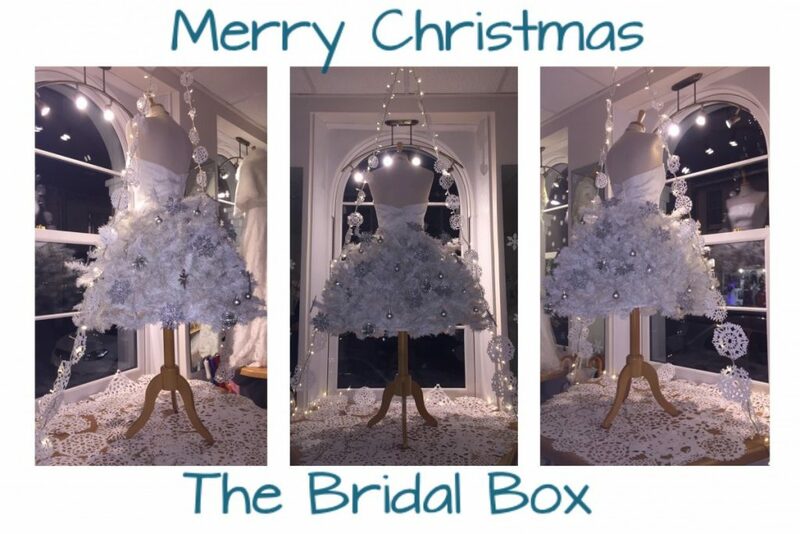 This entry was posted in Bridal Box Blog, News & Updates, Our Ramblings!. Bookmark the permalink.